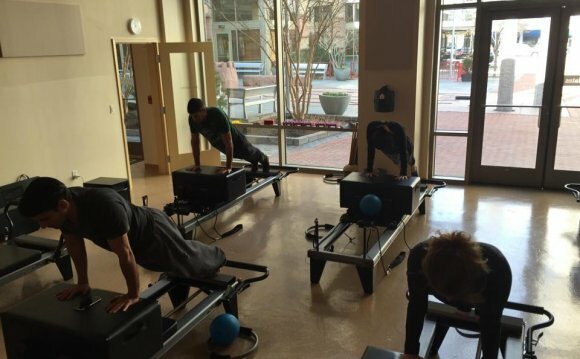 Never been to a reformer class before? Pregnant or have an injury? No problem. Reformer Level 1 is a flowing and challenging, yet safe work out. This class is for everyone regardless of age, experience, current fitness level or ability. You will learn that the Pilates reformer is not a torture device, but rather an apparatus that guarantees a nurturing full body workout. If you comfortable with the Pilates reformer and want something more intense then try Reformer Level 2. It is a fast paced, full body workout that will leave you craving more. From form perfecting exercises to variations of the traditional Pilates routine, Level 2 is for anyone who wants that extra challenge. Do you dream of doing Pilates? Do you look forward to your next Pilates class all day? Do you often think of creative variations of Pilates exercises on your own? Then you are ready for our most intense reformer class. Level 3 Reformer includes several advanced exercises that will test the strength of both your body and your mind. This class will challenge you to the core and beyond. It is often it difficult to find classes that match your level at the time frame you are available. That is why My Thrive offers Reformer All Level classes. This class is taught towards every level of experience with tailored modifications, assists and variations to challenge and support every student. This class is intermediate in intensity and perfect for anyone's daily Pilates class. Reformer Chair combines the athletic conditioning of the Pilates chair with the strength, flexibility, and coordination challenges offered on the famous Pilates Reformer. The traditional and non traditional exercises offered on the reformer AND chair in this class will challenge your regular Pilates routine. Be prepared to "feel the burn."